What the Hell Has Happened to British Festivals?! but my anger and confusion is a response to the festival announcements we are hearing. A little while ago, Reading and Leeds announced their headliners and, upon first inspection, I was shocked. Aside from The 1975 – who are very in and popular right now – the rest of the headline acts are an assortment of past-their-best artists who should not be there. Foo Fighters, Post Malone and Twenty One Pilots is hardly the most exciting combination and I wonder why there are four headliners and not three – as the festivals are spread over a three-day weekend. It is a somewhat disappointing and boring headline show and it makes me wonder where the hell the excitement has gone from music! I know there are captivating artists around, many headline-ready, and they are not getting the call. Glastonbury’s first headline act, Stormzy, is more energised and interesting than the Reading and Leeds festivals’ acts and he is a black artist – the lack of diversity across the big festivals is glaring. I am fearful Glastonbury will go the same way as others and book an all-male headline line-up. I am thinking about Glastonbury and it is good they have taken a chance regarding genre and the fact Stormzy has only released one album. If there is a balance and sense of awareness then the headliners might be okay. The thing is, I feel Glastonbury will either book one female headliner or none at all. They might have one black artist (so far) but the gender imbalance is alarming. I cannot remember whether Glastonbury has ever booked more than one female headliner in a year and, in the last five years, it has been male-dominated! There are a lot of interesting announcements to come but Reading and Leeds sort of cemented the trait we are seeing: booking bloke with guitars and keeping it very white and male. Guitar music is great but it is in a strange and poor place right now. Other genres and sounds are more popular and the fact so many mores established acts are getting headline slots makes me wonder whether any rising artists will ever get a look in. Do we need to see Foo Fighters headline again?! They cannot bring anything new to the party and have been around since the 1990s. Post Malone and Twenty One Pilots are so unexciting and bland you wonder how many other artists were on the list when the headliners were considered! Two more festivals announced their headliners recently and it is another predictable look. The headliners, no shocks, are all bloke with guitars and they are all white. It is another case of a festival bill being filled with white artists and there is such a lack of diversity! There are some women on the Isle of Wight bill – including a headline-worthy Lily Allen – but the top-three are George Ezra, Noel Gallagher’s High Flying Birds and Biffy Clyro! You look at those names and wonder what is new and exciting. I know Noel Gallagher has a huge fanbase and appeals to a wide demographic but there is far less demand for his music than the Oasis heyday. He is a great live performer but he seems like that very obvious/easy headliner that can provide a few thrills but very few memories. Are we going to see Noel Gallagher’s High Flying Birds in June and come away with so many highlights and fond memories?! I do not think so. George Ezra is a popular modern artists but he is not exactly thrilling! I listen to his music and, whilst competent, it makes me very sleepy and he does not have ‘headliner’ written all over him. What demographic are Isle for Wight going for?! If Noel Gallagher is bringing in the middle-aged men then George Ezra is attracting the younger females – it is a case of trying to cover all bases without thinking of true quality and diversity. You’d hope a festival as big and prestigious as Isle of Wight would book female headliners but, alas, no! They have newcomers like Sigrid, DMA’s and Jess Glynne on their bill but there are plenty of other artists, as exciting, who could fill a headline slot. Not only is it confusing wondering who Isle of Wight are pitching to but you look at the headliners and sort of sigh. 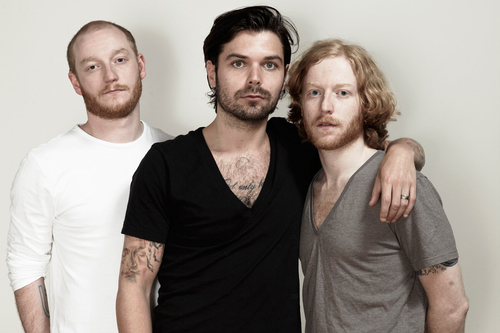 The artists included that really annoyed me is Biffy Clyro. Like Readings and Leeds’ booking of Foo Fighters, they have gone with an established and long-serving band that have not had a big album out for years. Ellipsis, released in 2016, gained a few good reviews but did not get a lot of focus. The band have been putting out albums since 2002’s Blackened Sky but have long past their peak. Not only do festivals need to reflect what is coming through and artists who are reaching their peak but, yes, there needs to be some older acts. The mores established acts who have been around a while and already performed at festivals for years...surely they should go lower down the bill?! I look at Isle of Wight and there is nothing that would interest me in the slightest. That sentiment has been echoed on social media and it is a rather dour affair. Think, again, about the fact there are white blokes with guitars there. The same could be said, largely, for Reading and Leeds and does it fall to Glastonbury solely to rescue the big festivals?! I am aware there are smaller British festivals and European ones that are more gender-aware and booking black artists. Look at the line-up for Primavera (held in Spain and Portugal) and they have the idea! They have Solange and Erykah Badu as headliners and, yes, both women and black. There is no need to fill quotas in any case: both of these women are huge artists at different stages of their careers. One might argue Solange is not quite ready for headline status but she has quickly established herself as a hugely popular artist. Cardi B and Janelle Monáe are also headlining and, among their nine headliners, FIVE are women. The genre breakdown is interesting because it is less reliant on guitars and bands and focuses on genres like R&B, Soul and Pop. Look at the fact there are five black artists in the line-up and you have one of the first truly equal and progressive line-ups. I am hearing of other small festivals showing similar spirit and intelligence but, sadly, it is down to Europe to show Britain how to do it. They have shown you can book headliners and make sure there is gender and racial equality and, yes, some really exciting artists! More and more, British festivals are becoming so dull and not showing any bravery. We have many festivals in this country and I am aware the smaller ones will book female headliners and show a more exciting, diverse line-up. It is the big festivals like Glastonbury, Reading and Leeds and Isle of Wight that are leading the way and should be setting an example. It seems, this soon, Europe is ahead of us – are we sure we want to leave the E.U.?! The reason Primavera appeals to me is because they have managed to create equality but are focusing on quality. I have argued Beyoncé should headline British festivals – more on her later – but her sister, Solange, is as alluring, intoxicating and talented. She proved herself with the album, A Seat at the Table, and I know she will put on a storming set. Tame Impala is in the mix and he is a fantastic addition. It is a great line-up already and one that is not being mirrored over here. Another festival that announced its headliners is Latitude. It is a big festival and one that has grown from boutique status to become one of the most in-demand on the calendar. I thought, when they announced their line-up, we’d see a change and difference. I’ll give it to them, they have booked one female headliner: Lana Del Rey is long-over that exposure and is a sound booking. The other two headliners, alas, besmirch that rather bold step. Again, George Ezra is headlining. It is fine to headline one festival (I guess) but TWO?! Is there such a massive fanbase that we need him at two – so those who cannot get to the Isle of Wight can get to Suffolk?! I wonder why Latitude missed a chance and became the first major British festival to book more than one female headliner. Look at the other headliner, Snow Patrol, and there is this echoing of Isle of Wight. In fact, there seems to be this template forming that dictates British festivals. 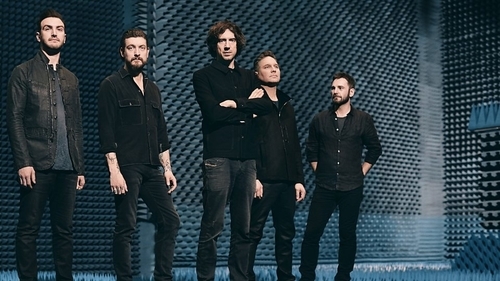 Snow Patrol are a band that divide opinion – I cannot stand them – but have not been popular and huge for many years. Their current album, 2018’s Wilderness, had some okay moments but hardly got sweeping positivity. They have been going since the 1990s and they have already enjoyed headline slots. It is a rather strange move to book a band that are not exactly trending and being talked about and book them as a headliner. Combine George Ezra with Snow Patrol and you have enough drowsiness in there to put down a cocaine-fuelled maniac! That may sound cold but the artists have a distinct sound that is not what you would label as exciting or universal. They have a particular set of fans but will struggle to bring in any new festival-goers. I love Lana Del Rey and feel she will bring more spark and drama but, again, her music has a dreamier and soothing edge. You have, in effect, three headliners at a summer festival that are very similar. What happened to the festivals where we had decent bands who could whip up a storm?! Maybe there was gender and racial imbalance then but you could not say our festivals lacked excitement! Whilst Latitude have female artists lower down the list – including Julia Jacklin and Nadine Shah – it is a case of the lower-downs being more compelling than the headliners! Why could Nadine Shah not headline?! She is brilliant and much more compelling then George Ezra and Snow Patrol! Freya Ridings is an addition that represents the new breed of Pop but, in actuality, there are countless artists who could make the Latitude line-up more balanced and exciting. They are announcing more artists soon but, once more, it is a case of blokes – minus Lana Del Rey – with guitars at the top and a lack of female and black faces on the rest of the billing. In the space of only four festivals, we have shown less diversity and excitement than one in Europe! I know Glastonbury have two more headliners to announce but I know the way things will play out. There is so much talk of artists like Sir Paul McCartney and The Cure headlining that it will mean another male-heavy year. I know those icons will certainly add plenty of fun and fascination but we are going to see another imbalanced headline line-up. I know there have been rumours Madonna could play but I think that booking is unlikely. Glastonbury have at least one black artist confirmed as a headliner but will we see another? Janelle Monáe is already confirmed for Glastonbury but not as a headliner on the Pyramid Stage. I think that is a mistake and wonder why she was not booked as a headliner?! She could bring an awesome show and it is a case of Glastonbury recognising artists who are popular but not understanding the fact they are strong enough to headline. Eminem produced an electric and incendiary set whilst The Weeknd provided a terrific set. Beyoncé, mind, showed why the 2022 pledge regarding gender is insane. She absolutely stormed the Saturday and produced one of the finest headline sets in the festival’s history! I know it might be expensive to book her but why was she not first on the list for British festivals this year?! Coachella is a huge festival and I am looking at confirmed artists for this year and there is a pleasing balance regarding genres, gender and race. I am not sure who will be headlining yet but I am confident it will be similar to last year in terms of the captivation quality. You go to festivals and want those big and exciting acts. Coachella is leaving the likes of Reading and Leeds in the dust! Look underneath the 2018 Coachella headliners and there are artists who could graduate to the headline slots. Cardi B and HAIM missed out last year but would you bet against them?! 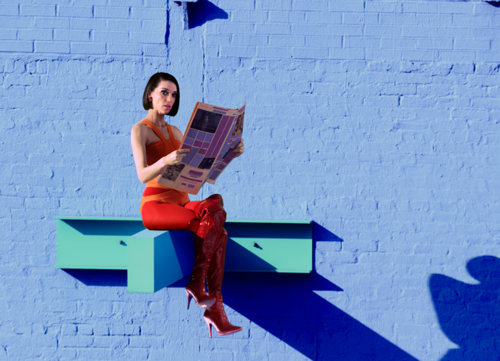 One artist who was at Coachella last year and, I feel, should be headlining festivals here is St. Vincent. She is strong enough to command the biggest stages in the world and I am curious why she has been overlooked. Why are major British festivals willing to book great artists lower down the bill but have such boring and blokey headliners?! Headliners should be the main draw and the reason many of us go to festivals. A rather boring and predictable headache.